The Asian Thermophysical Properties Conference in 2019 (ATPC 2019) is the 12th in a series of very successful international conference on thermophysical properties held in Asia since 1986. Asian Thermophysical Properties Conference is one of three worldwide conferences on thermophysical properties. The other two are the European Conference on Thermophysical Properties and the Symposium on Thermophysical Properties. They are all held every three years. 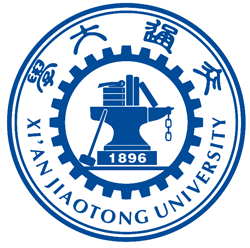 ATPC 2019 is organized by Xi’an Jiaotong University at the Xi’an, China, and will be held from October 2 to October 6, 2019. The objective of ATPC 2019 is to provide a forum to report and discuss the progress in experimental, theoretical, and applied research related to the thermophysical properties of fluids and solids. This conference is mainly concerned with measurement technology and theoretical prediction method of thermodynamic and transport properties including viscosity, thermal conductivity, diffusivity, heat capacity, solubility, phase equilibrium, speed of sound, density, and surface tension, etc. The development and application of new materials and other properties like optical and electrical properties are also within the scope of this conference.